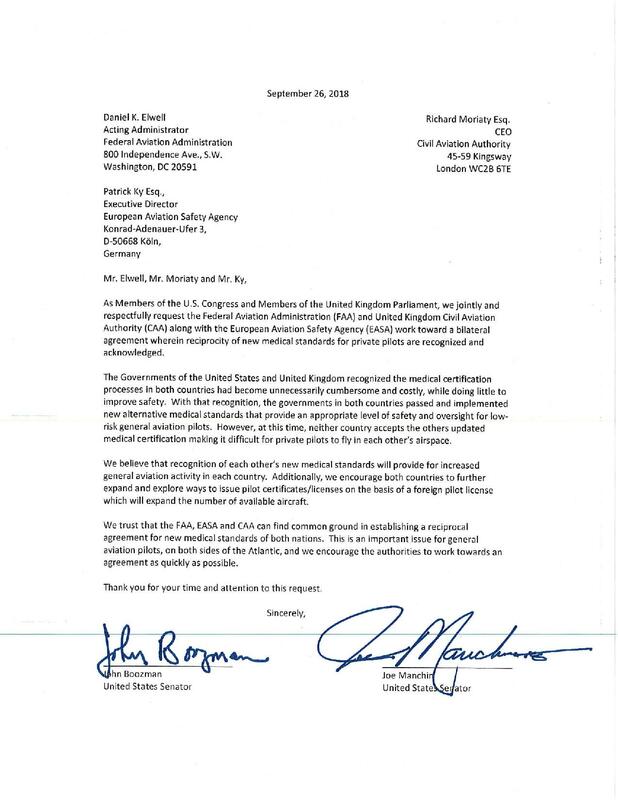 In a letter to the Civil Aviation Authority (CAA), Federal Aviation Authority (FAA) and the European Aviation Safety Authority (EASA), lawmakers from the UK APPG on General Aviation and the Congressional General Aviation Caucus, have called for a bilateral agreement to provide recognition and acknowledgement for new medical standards. In the letter, MP’s, Senators and Congressman argue that new alternative medical standards recently adopted by both governments have made the “process … unnecessarily cumbersome and costly, whilst doing little to improve safety”. Chair of the over 170-strong all-party parliamentary group, The Rt Hon Grant Shapps MP, said: “Improving cooperation between regulatory authorities over medical standards will make it much easier and significantly cheaper for pilots from both countries to fly in foreign countries. 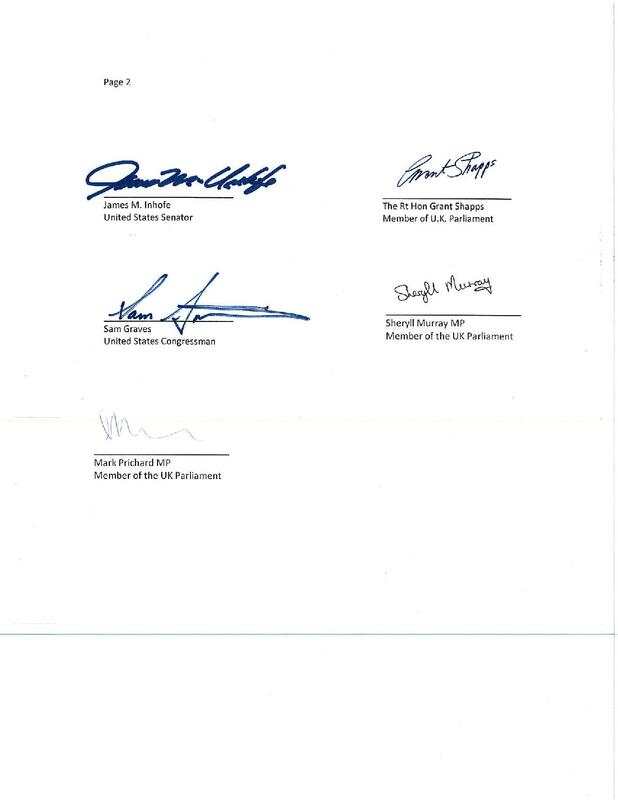 Members of the APPG warmly welcome this letter calling for mutual recognition as it will lead to an increase in general aviation in the UK and the USA. The All-Party Parliamentary Group on General Aviation has 172 parliamentary members from across both Houses of Parliament, and all the major political parties. The full membership can be found at www.GeneralAviationAPPG.uk/parliamentary-members. The General Aviation Caucus has more than 200 members, making it among the largest caucuses in the United States Congress. A copy of the joint letter can be found below.